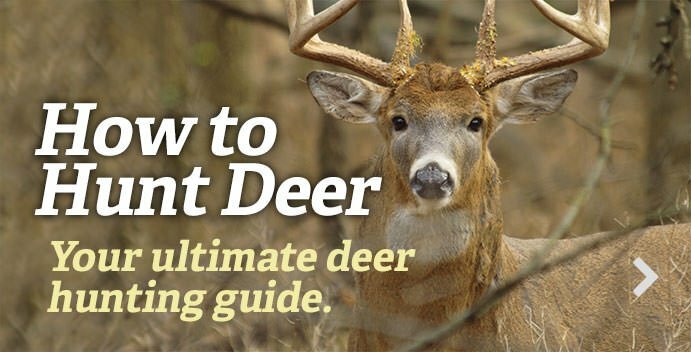 Water is one of the three basic needs of a white-tailed deer — perhaps the most important, as studies have shown deer generally go to water before they go to food when they rise from their beds in the evening. It’s very common knowledge, yet often overlooked during the hunt. Creating water sources in areas where deer might not have a lot of access to it is very beneficial. Placing small water holes in strategic locations that help put deer in front of your stand during daylight is certainly a plus. Here’s how to do that. Determine a good location for the water hole. This might be in a small micro plot, staging area, on the edge of a bedding area, or some other high-traffic area that sees frequent daylight movement. Next, begin digging a hole for the small 100- to 125-gallon kiddie swimming pool you purchased. Lay the pool on the ground where it will go. Trace the areas around it with a shovel or grubbing hoe. Pull the pool and begin digging. Do so deep enough that the entire pool sets in the ground with the lip just below the surface of the ground. Make sure the bottom of the hole is flat. Remove all rocks and sharp objects that could potentially puncture the pool. Ensure it’s level. If the bottom isn’t level, it won’t hold as much water as it would if set properly. Place a piece of heavy plastic in the hole to provide additional protection. Thick plastic, a tarp or any other type of liner will do. Set the pool back into the hole. Make sure it’s level once more and that all parts of the plastic pool are popped back out into their intended, molded form. Back-fill dirt around the edges of the pool. If in an area where run-off is likely, don’t mound up around the edges. If the likelihood of run-off keeping the hole filled is low, mound it up around the top edges of the pool so it holds more water. The next step is optional. I prefer to put a thin layer of dirt back into the pool. It adds additional protection and helps prevent puncture. This also makes the watering hole look more natural — which is important, especially for mature bucks. Place a long stick protruding up out of the pool so small animals can climb out if they fall in. Once that’s complete, begin filling it up with water. Use a tank to haul water to your watering hole(s). A 100-gallon pool should hole water for three to four weeks with adequate rainfall. For more details, follow along in this how-to video as I explain how to make a cheap watering hole for deer. These realistic water holes are more effective and inviting to deer than many other DIY and market options.